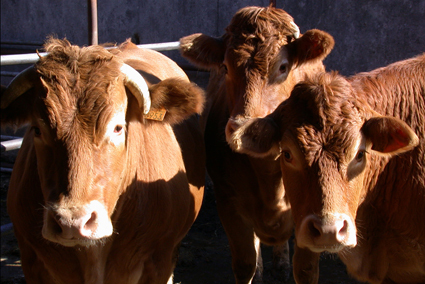 Livestock has the potential to cause serious injuries and even death to their handlers. Amongst other solutions, livestock handling facilities should be well designed and functional for both livestock welfare and worker safety. Use the quick safety scan below to assess health and safety related to livestock handling at your workplace. Items where you tick ‘Sometimes’ or ‘Never’ will need action to fix or do better. A lack of knowledge of livestock behaviour can put a handler into dangerous situations. Your workers need to be adequately trained and familiar with the temperament of your livestock. Remember that new, young and inexperienced workers (and bystanders) are more likely to be injured, so ensure they are closely supervised and not put at risk of injury. SafeWork SA have a workplace advisory service that can provide you and your business with free work health and safety information, advice and support that is practical, relevant and tailored to the work you do. Their WHS Advisors deliver both telephone and face-to-face support and can visit your workplace to help you find solutions to identified hazards and risks. You can visit safework.sa.gov.au/freeadvice or call 1300 365 255 to find out more, or to book a free advisor’s visit at a time and place that suits you.